I absolutely never wear the colour red. Ever. I'm pretty strict about that. The only exception is lipstick. Colour anywhere else on my face makes me feel like a clown, I'll stick to boring nudes and soft pinks THANK YOU. Yet on the lips red makes me feel daringly brave. There's something about the in your face shade that is just so appealing and MAC Russian Red is Queen of them all. 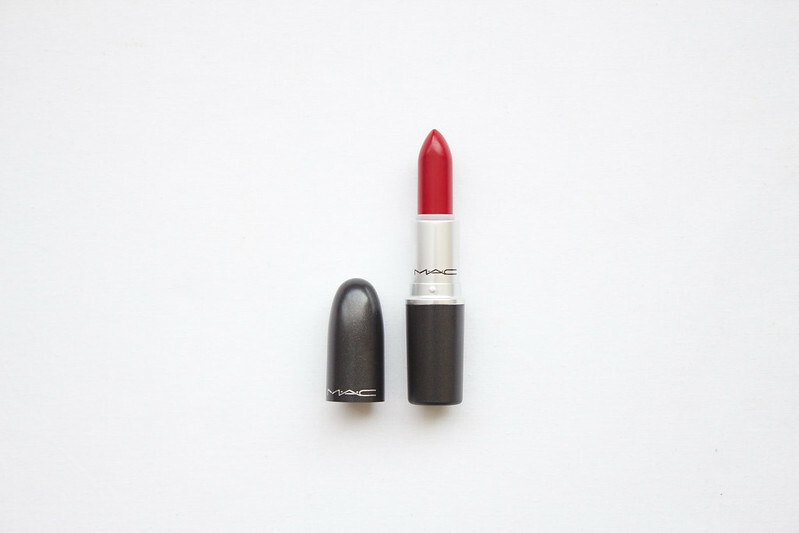 Russian Red is part of the MAC permanent collection (and my own) for a reason. It's won the award of "most perfect red lipstick." This medium-dark vintage red with neutral undertones is flattering on every skin tone and super easy to wear. The deep crimson velvet colour is bold and unapologetic. The formula is a non-drying, creamy matte, which applies smoothly and evenly. Russian Red typically wears for around four to six hours leaving a light stain, meaning if you don't get around to touching it up, you can drink cocktails and blow kisses without having to worry about patchy red lips. I'm trying to refrain from typing 'I NEED DIS' - looks like I failed. But I really do need to scurry over to a mac counter soon. This is at the top of my "lipsticks I am in dire need of" list ! Its next for me ! That's my fav color :) Perfect for fall and winter! Aside from the Revlon Lip Butter in Candy Apple, I don't own any red makeup products. Russian Red sounds like such a classic alongside Ruby Woo. 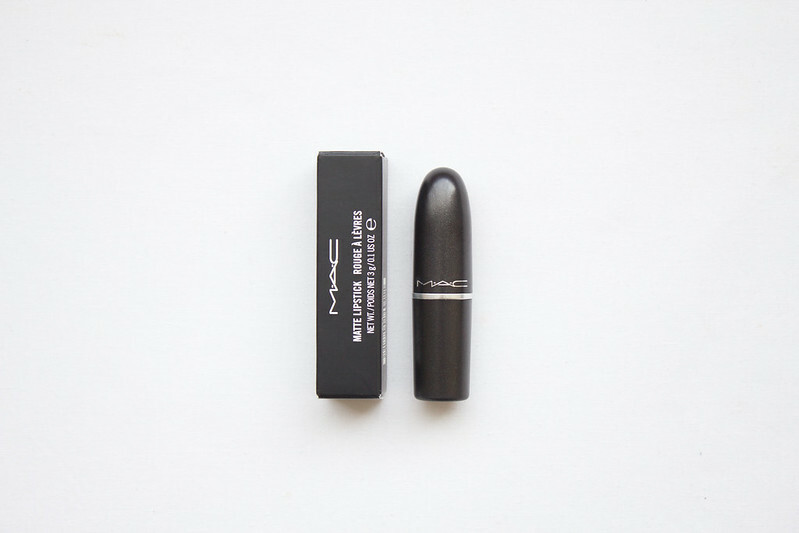 I still have to venture in the world of lipsticks and I've got my eyes on a bunch of MAC ones. This could get freaky. Oh really? That's a shame. OH I want Lady Danger too, it's a super pretty orange colour. I was very tempted but I'm still unsure whether orange suits me. Ruby Woo is a lot drier. Russian Red feels creamy and doesn't make your lips feel dried out, it's also slightly darker. I initially went in for Ruby Woo but after talking to the MUA I decided against it. Ruby Woo is lovely but it doesn't feel as creamy on the lips, it tends to dry them out more. It's also a slightly brighter red. Russian Red is a classic "true red." YES. Get it. You won't regret it. I'm a "red lipstick all year round" kind of girl. I know which one you mean and I WANT IT like I want every red lipstick. i desperately need this! i love red lipstick and have really wanted/needed this for a long time. totally out of my budget at the moment though. i have another mac lipstick though and it has lasted FOREVER. Aww this has always been on my wishlist! :) Would love to see how it looks on you!